To encounter an Allied invasion Nazi Germany built a defensive line along the coast of Western Europe, the 'Atlantic wall '. This wall ran right through the Haagse Bos. 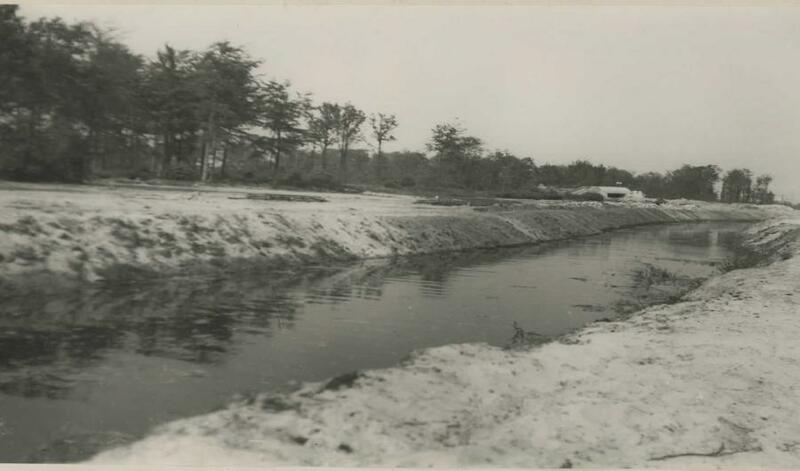 Anti-tank ditch with bunker and field of fire in the Haagse Bos (1947). Photo: W.J. van der Pool. After the war the bunkers in the Haagse Bos were covered by sand, sown with grass and transformed into hills (1948). 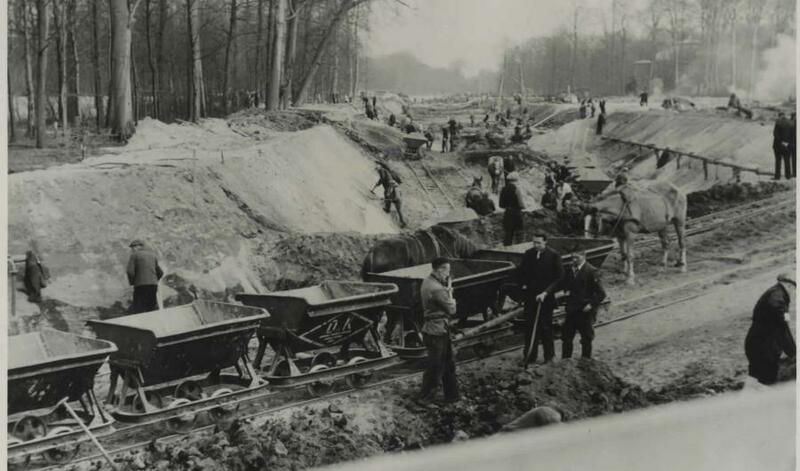 Construction of the anti-tank ditch near the Malieveld towards the Haagse Bos (1943). During the war this was part of the anti-tank ditch. The anti-tank ditch was five and a half kilometers long, 27 meters wide, and part of the Atlantic Wall, an important part of the German army's line of defence that was constructed from March 1942 on. This line, that ran from Norway to Spain, was built to withstand an allied attack from the sea. 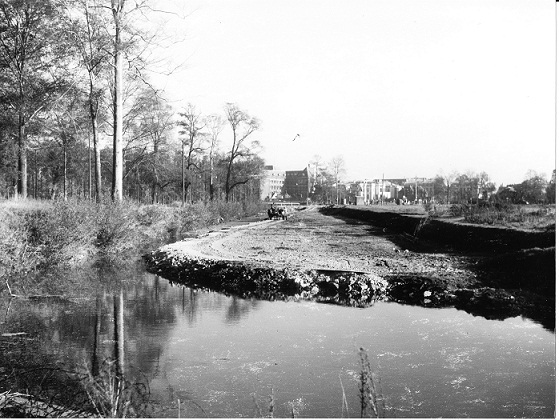 There was a defensive installation near this anti-tank ditch in the middle of the Laan van Nieuw Oost-Indië, called 'Widerstandsnest' number 305. 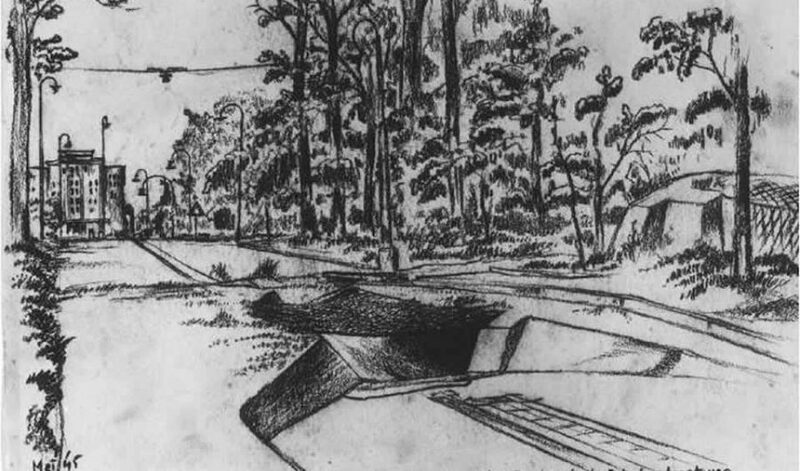 This installation could accommodate an anti-tank gun that would cover the intersection of the anti-tank ditch and the Laan van Nieuw Oost-Indië. Widerstandsnest 305 was defended by one officer, fourteen non-commissioned officers and 61 other soldiers. 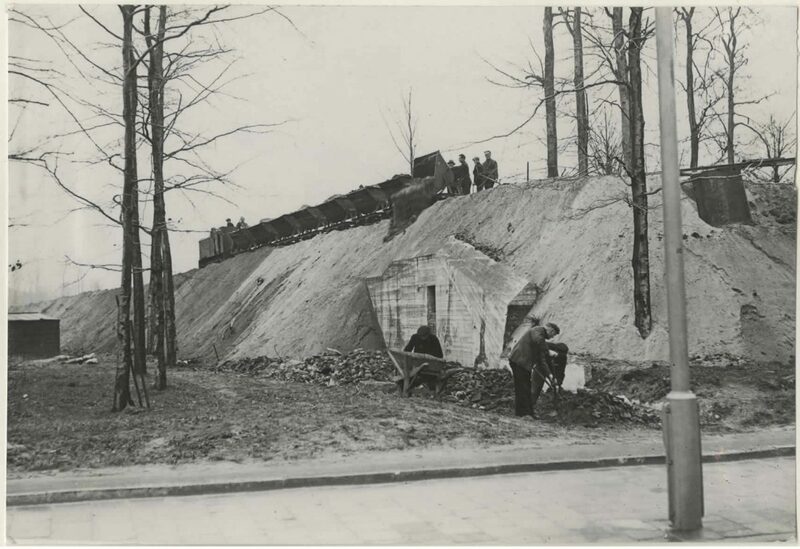 The Haagse Bos contained a large number of bunkers, which were used e.g. 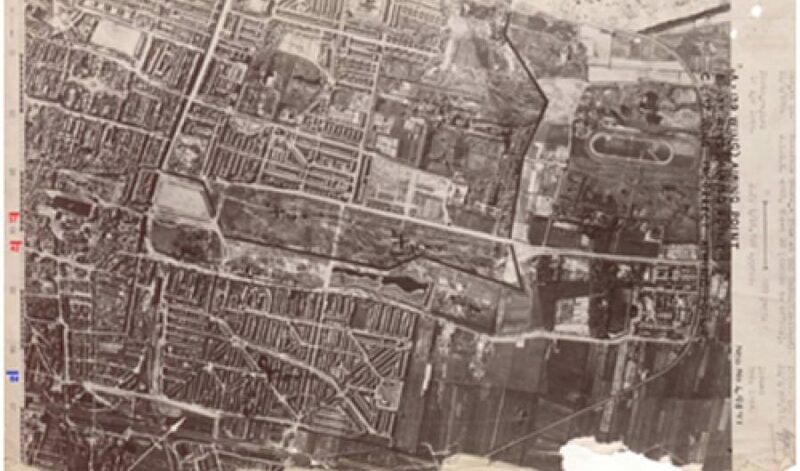 as kitchen and munition depots. The 'Redemption Act' was enacted by William of Orange in 1576 and stipulates that the Haagse Bos must never be sold or any trees hacked. 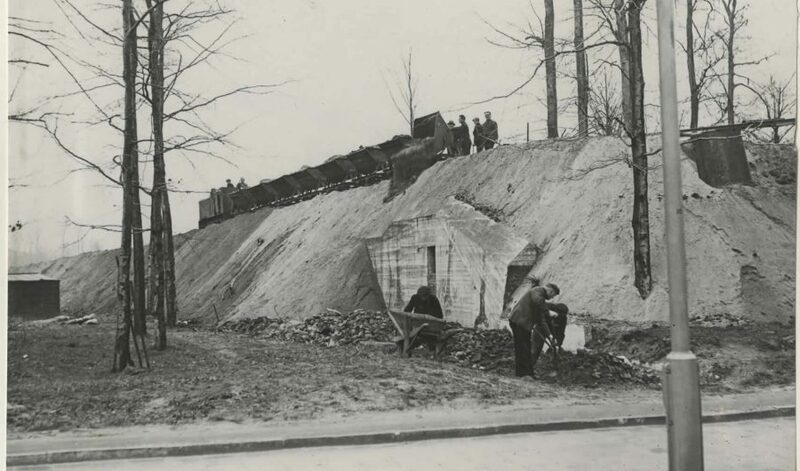 Unfortunately, this was of no concern to the German occupiers who cleared approximately 85 percent of the trees to make room for anti-tank ditches and launching sites. New trees were planted after the war. There are still a few elderly giants with beech trees up to 275 years old and oak trees up to 400 years old. Ms W. Schimmel-Bonder, 16 years old at the time of the bombing. 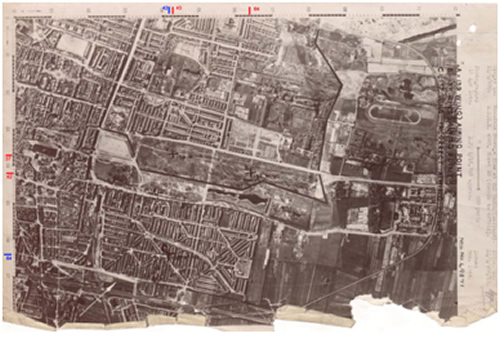 An aerial photograph that was used to mark the planned bombing coordinates. 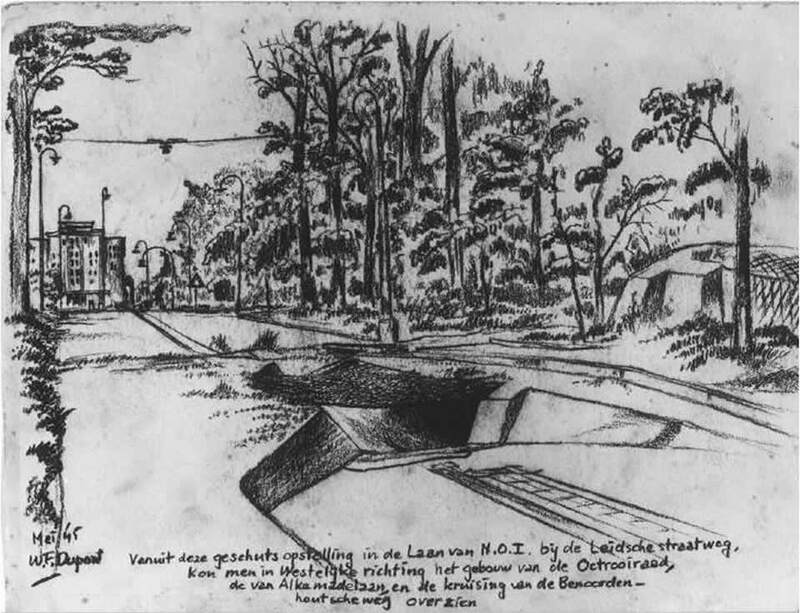 A defensive installation near this anti-tank ditch in the middle of the Laan van Nieuw Oost-Indië, called 'Widerstandsnest' number 305. Drawing: W. Dupont. 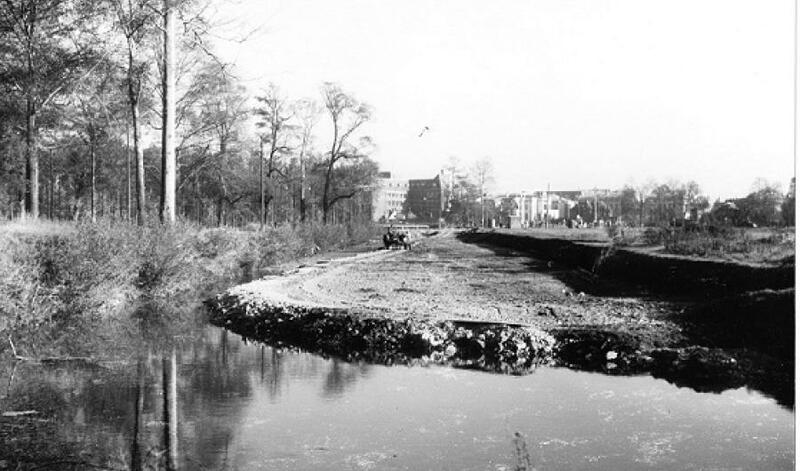 The ditch was closed after the war.